Houston, Texas Lion Dance - Performed By Skilled Adult Martial Artists. 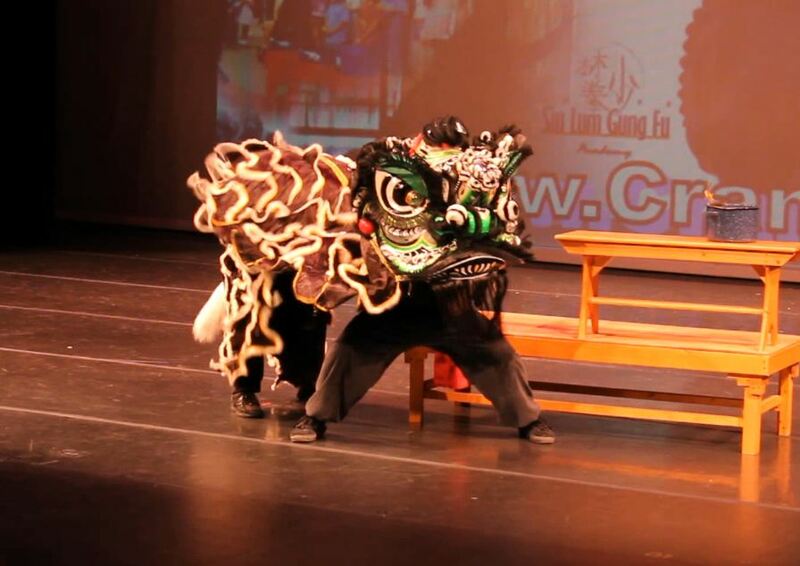 Highly Energetic World Class Lion Dance Performances! The Lion Dance has been a tradition in the Chinese culture for centuries. Believed to bring good luck and security to those who attended, the Southern Futsan (Foshan) Lion Dance was traditionally practiced and performed by Kung (Gung) Fu schools as one of the primary celebration rituals during Chinese New Year. Only dedicated students (usually adults) who had demonstrated strong martial art skills and spiritual development were allowed to participate in the Lion Dance. The Schools would gather and compete in the Lion Dance to show the wisdom, spirit and skill of their school. They were given the test of "getting the green". The school that solved the problem best and first would win. The emphasis of the competition had nothing to do with looks (vanity and ego). It had everything to do with bringing positive energy and good feeling to the attendees through the demonstrations of spiritual ritual, martial arts and problem solving skills. The winning school would gain great respect from the people of their community along with proceeds to help the school survive and continue to serve the community. In modern times the Lion Dance has evolved into contemporary Lion Dance competitions, this new style is known as Hoksan Lion Dancing. The Dancers (often children) are taught to trot around and act more like playful dogs than powerful lions. The emphasis is on how the Lion Dance looks (vanity and ego, good for entertainment) They have eliminated the emphasis of dynamic martial arts, spiritual ritual and meaning, along with the spontaneity necessary to perform the original form of Futsan Lion Dancing. The Chinese have a saying, some things that look good have little use, they only look good. The original style of Southern Futsan (Foshan) Lion Dancing known for its meaningful spiritual ritual and essence, creative problem solving and highly energetic performances is becoming harder and harder to find in it's authentic state. It is solely practiced by Traditional Kung Fu practitioners who adhere to the authentic styles and who care deeply about spiritual development. Many Lion Dance teams claim to perform Traditional Futsan Lion Dancing. If the Futsan Lion Dance Team members do not train in Traditional Kung (Gung) Fu then they are only imitating an outer shell of the style. It is through the tremendous hard work of Authentic Kung (Gung) Fu training that the team members will have learned real martial ethics like respect, loyalty, humility, kindness and charity ultimately evolving into better human beings through true spiritual development. "Traditional" does not mean that the lion dance team members have to be Asian, in fact, we welcome all nationalities. Some of the best Kung (Gung) Fu Practitioners in the world come from other nationalities besides Asian and the same is true for Traditional Lion Dance teams. The definition of Traditional Futsan Lion Dancing means that it is performed by Traditional Kung (Gung) Fu practitioners with direct lineage to a great Chinese Master who opened up their teaching to dedicated students no matter what their ethnic backgrounds were. Sifu Christopher Scott spent a number of years on the world famous Master Augustine Fong's Lion Dance Team while studying martial arts under Sifu Fong. Thanks to this priceless experience, Sifu Scott is now able to continue this grand tradition. 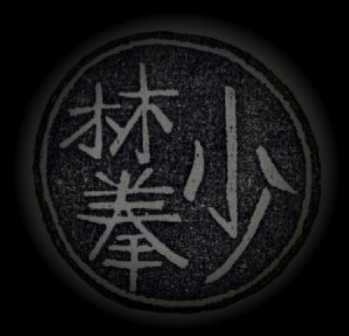 Sifu Scott was exposed to the Asian cultures before he could speak and eventually trained in Asia. His father traveled to Asia regularly until Sifu Scott was in his 20's. As a baby he shared a playpen with his best friend Saburo Usami and spent much of his youth growing up with Saburo's family. This began his life long love and respect for what the Asian cultures have to offer - click to view image. Sifu Scott' now provides world class Lion Dancing in the Houston, TX area for special events including Corporate Events, Weddings, Grand Openings, New Year Celebrations and more. Each Lion Dance we perform is designed specifically and uniquely for that event. Our ultimate goal is to offer a blessing and good positive energy for your event (we put our hearts into every Lion Dance). Like past times the proceeds are ultimately generous offerings to help us continue this great tradition for yourself and others and to help us continue teaching our students to become better and more spiritually diverse members of society. There is no additional charge if the Lion Dance is within 20 miles of our location. A travel fee of $ 4.50 per mile is added for each mile over 20 miles. A standard lion dance team consists of 2 Lion Dance members and percussionists. If special directions or props are requested appropriate fees will be added. We Do Not recommend dances longer than 15 - 20 minutes (dances over 15 - 20 minutes will tire the attendees).